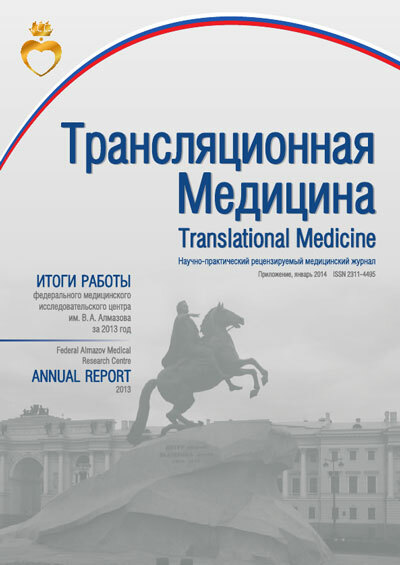 Translational Medicine is a scientific peer-reviewed medical journal published since 2014. Publication frequency — 6 times a year. Translational Medicine publishes original articles, reviews, and educational materials on new approaches to introduction of scientific research findings into clinical practice. It is the successor of the journal Bulletin of Federal Almazov Medical Research Centre that was published from 2010 to 2013. The journal is registered by the State Press Committee of the Russian Federation.